Vespasian died at the age of 69 years. Before his death long was ill: he was feverish, opened old wounds. According to the established by the time the tradition after his death, he was immediately deified. The morning of June 24 of the year 79 the Emperor joked: “Alas, it seems I’m becoming a God.” In the evening he was gone. As can be seen, Vespasian managed to keep a sense of humor until the very end of life. The full name of the Emperor Titus Flavius Vespasianus. He came from a humble Italian family. The grandfather was a soldier, and then a small trader. The father at one time was collecting the taxes in Asia. The future Emperor lost his parents early and was raised by his grandmother on a small farm in Central Italy. The family led nearly the peasant way of life. This has affected the character and appearance of the Emperor. Growth was high, the addition of a sturdy and dense, with coarse facial features. The famous biographer Suetonius wrote: “Health it enjoyed a great, although is about not caring and just rubbed himself in the bath, the throat and all members, Yes, one day a month did not eat anything. Got up early and immediately proceeded to business, accepting its first visitors, even dressing”. The rootless young man saw only one career path – the army, therefore, began serving under Emperor Tiberius. Vespasian was born for the army. Personal courage and bravery enabled him to seek officer positions. In 30 years, he left the army and began a civil career. The absolutely standard story for the time: to become in turn Quaestor, praetor, then Governor of Crete. The pinnacle of this career could be a Consulate – to the point nominal, but a very honorable position. Everything has changed in a year. After returning from Britain, Vespasian did not bet on the political party: he became friends with the Freedman Narcissus is a favorite of Emperor Claudius. Narcissus struggled for influence over the Emperor with his wife Agrippina. Freedman this fight lost, he was accused of treason and executed. 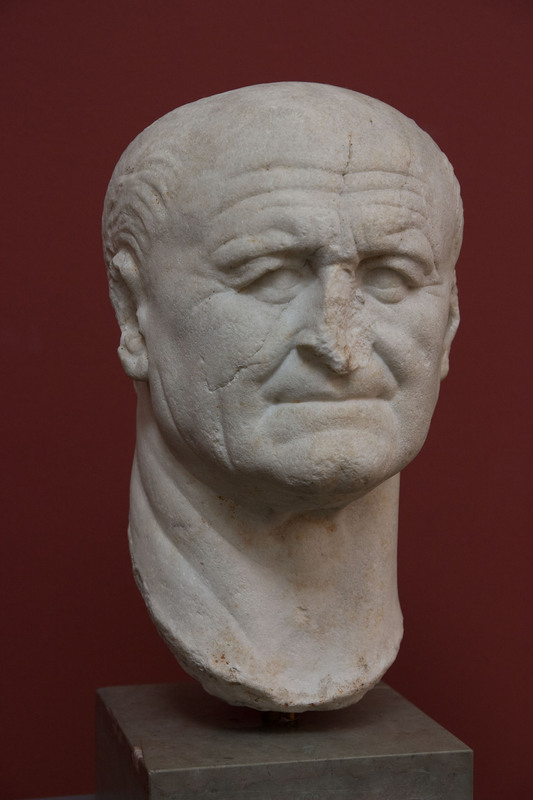 Vespasian retired and for 10 years has disappeared from Roman politics. Vespasian returned to the Roman policy in 57 years. At the time of the age more than respectable. The average life expectancy then was small, and people over 50 were seen as a very old man. Become Emperor Vespasian helped the war. Still, in the center of Rome, near the Colosseum, stands the arch of Titus. It’s bas-reliefs of Roman legionaries carrying treasures looted from the temple in Jerusalem: Hanukkah menorah, precious chalices, and musical instruments. Arch erected in honor of the Jewish war, 66 to 71 years. In this war, Vespasian went all forgotten commander and returned the Emperor. In 66 the people of Jerusalem killed the Roman garrison. The reason was harassment from the Governor of the province of Hesse flora, which not only massively plundered the local population but also mistreated the local religion. As a result, the revolt in Judea differed intransigence, as immediately received a religious coloring: the Jews fought to save their faith. In a short time the Roman garrisons in the cities were cut, officials executed. The Jews restored theocratic rule; in the head of the rebels stood the high priest Anna.